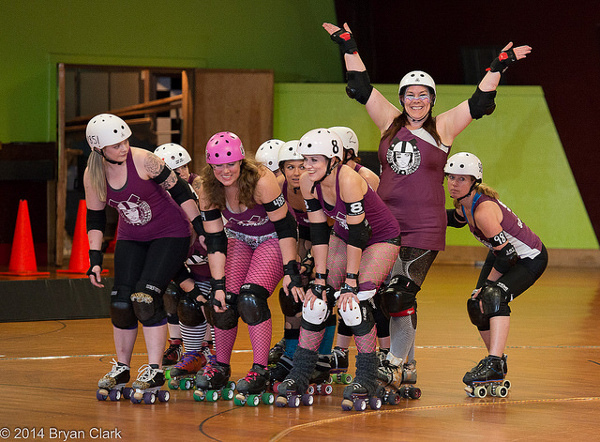 Rodeo City traveled with a skeleton crew up to Bremerton, WA to take on the Slaughter County Roller Vixens last Saturday. Those ladies and gents were amazing hosts, we had so much fun! Thank you to the volunteers and fans who where there to help out and cheer us on. This was the last bout for another of our veteran skaters, Trouble EnparaDDDZ. This amazing lady is part of the heart and soul of Rodeo City Rollergirls! We are going to miss her very much, but she will still be around to cheer us on! The final score was SCRV 165 to The Posse 131. The Vixens voted Warpaint Wendi as our MVP! She is our Posse captain and pushes herself to the limit every bout! We hope you can come see us at our next home bout on September 20th. We will be taking on Jet City’s CarnEvil because we can’t get enough of those ladies! Get Tickets, here! Thanks to our dedicated RCR photographer Bryan Clark who was there to capture some of the action! Check it out on our photos page.